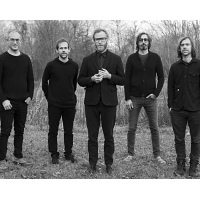 Brooklyn-based alt-indie-rock band, featuring Aaron Dessner, Bryce Dessner, Scott Devendorf, Bryan Devendorf and Matt Berninger. The band's self-titled debut appeared in 2001, although it wasn't until 2007's "Boxer" and 2010's "High Violet" that mainstream success beckoned, followed by 2013's: "Trouble Will Find Me". They released their seventh album, "Sleep Well Beast" in 2017.